We found the perfect toddler bike for your young child. 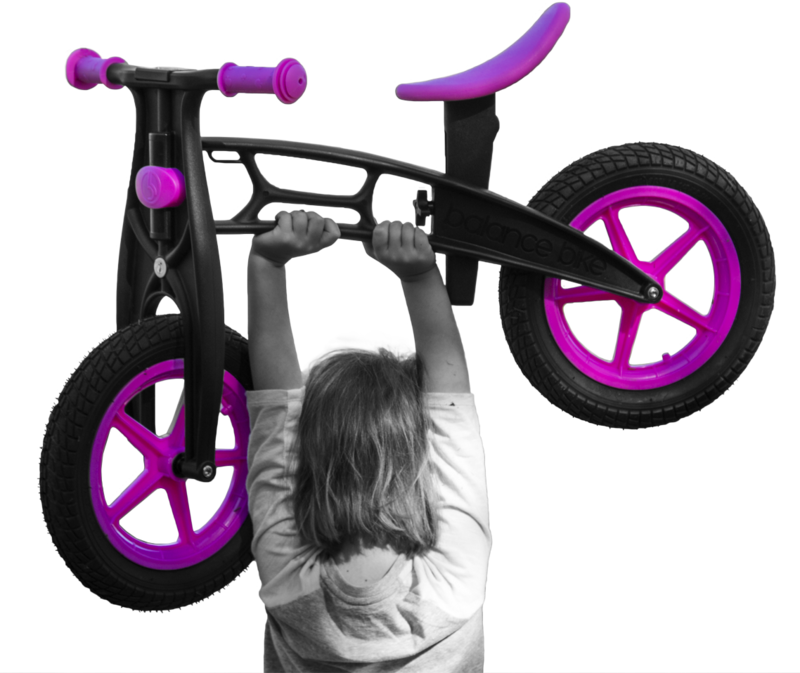 The balance bike is designed for teaching your child balance. 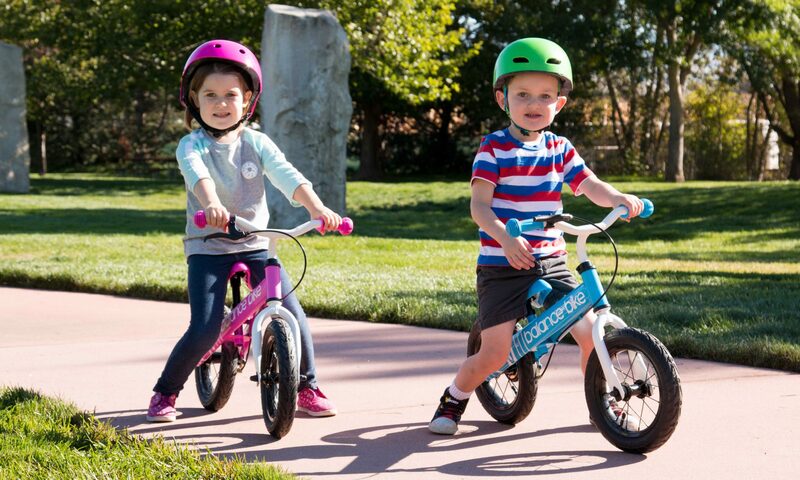 Whether your child is riding indoors on a smooth surface or outdoor on a variety of surfaces, these balance bikes are the perfect way to get your young child riding a bicycle. Balance bikes are sometimes referred to as push bikes or toddler bikes. The reason for the name is that these bikes can be pushed along while straddling the frame. As your child pushes the bike forward the bike begins to gain speed and momentum. If the child starts to lean one way or the other all he/she does is put their foot down for balance.This method of balancing is far superior compared to learning on a toddler bike with training wheels. Some parents feel they should use training wheels as a step to a child’s development in terms of balance or riding a bike. The toddler bike or balance bike is easier for a child to start riding a bicycle because they have learned the main skill needed to ride a bike—balance. With training wheels your toddler becomes dependent on the training wheels and does not learn to balance. They tend to ride tilted to one side or the other. With the toddler bike, balance and confidence is acquired rapidly in a safe, fun and enjoyable manner. Some kids are able to ride a real bike after only spending 2 hours on a balance bike. Toddler bikes are also recommended before and instead of a tricycle. A tricycle has pedals that are sometime difficult for a young child to use. When your child learns to walk and is tall enough to fit the frame of the toddler bike he/she can begin the process of riding a bike. No need for pedals and there is no need for three wheels or training wheels. Your child can start to ride the balance bike. Balance bikes can be found in almost any bike shop unless it is a highly specialized upper end shop catering to the elite. Even then, these shops have family members or friends with young, eager to learn, riders. Balance bikes can be found online or in a neighbor’s home as well. When checking out a balance bike in a store that carries these push bikes check to see if your child can straddle the frame and or is tall enough to sit on the seat while touching the ground with his/her feet. A proper fit for any bike is important at all ages whether the rider is 2 or 92. Most balance bikes come with adjustable seats to accommodate the growth of the young rider. If this feature is not found in a bike you may want to look at another brand. In addition the handlebars are usually adjustable as well. It is important to like the cosmetics of the bike. Like most things we own we want it to look good and we want to be proud of our bike and show it off. These cosmetic features may be the color, the details or patterns on the bike or perhaps the contrast in color between the grips and the main frame. Not all girls want pink and black tends to be the most popular color for boys. Your child’s eyes will light up as they look at the different bikes. Brand name bikes usually cost more that the off brand bikes and this doesn’t always equate to a better toddler bike. When comparing bikes in addition to fit check out the tires. Some tires are plastic, others are rubber with a tube that grips better and has a typical bike feels. There are some tires that are filled with foam that can be cut and do not leak. Other bikes come with a front hand brake to be used as your child transitions to a more traditional bike. One final consideration is the materials for the bike. Some bikes are made of plastic and other of metal. Balance bikes are a great way to teach your young rider to ride a bike. These bikes can be called Push bikes, Toddler bikes and balance bikes. There are many price points and features that come with the bikes making it necessary to do a little shopping and become educated before purchasing your child’s toddler bike.